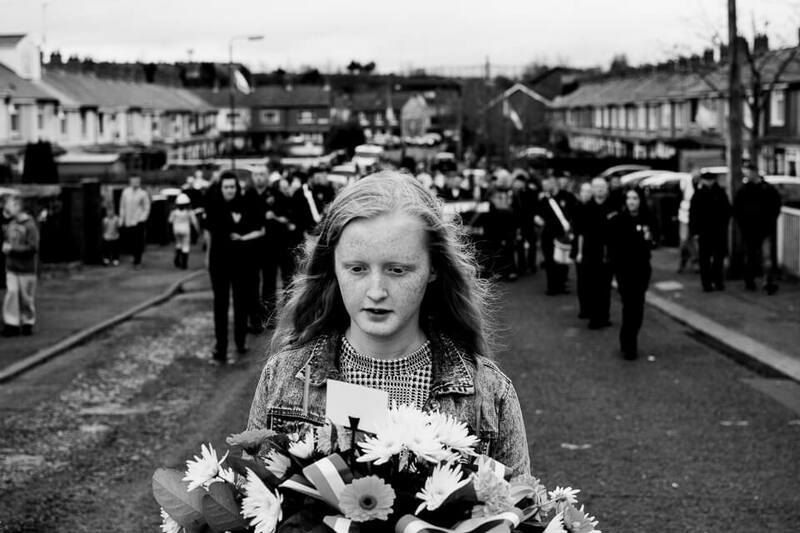 Many different images evoke memories on Northern Irelands troubled past or recent politics. One of the most striking is that of "parades" and seemingly related mayhem following them. 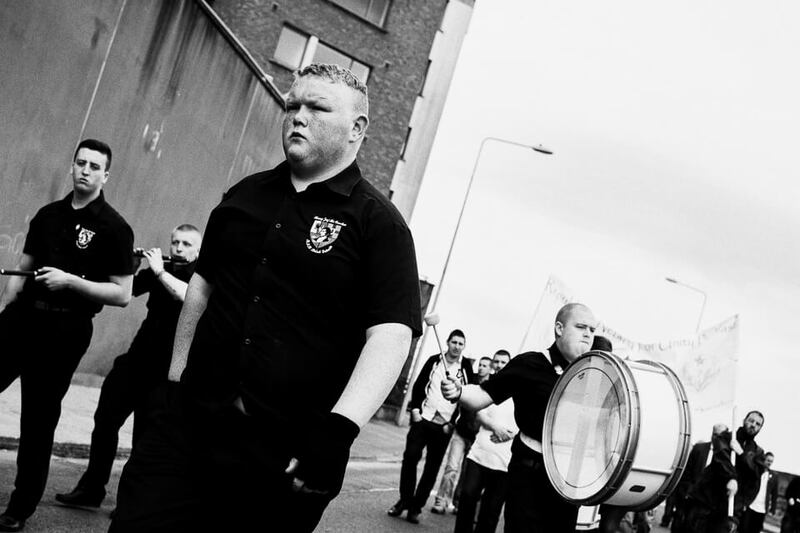 Parades by British Loyalist or Irish Nationalist marching bands are mostly associated with violence, sectarianism and paramilitarism. A negative image constructed by sometimes pretty sensationalist media coverage. For its members however, those bands are about expressing identity and celebrating their heritage. 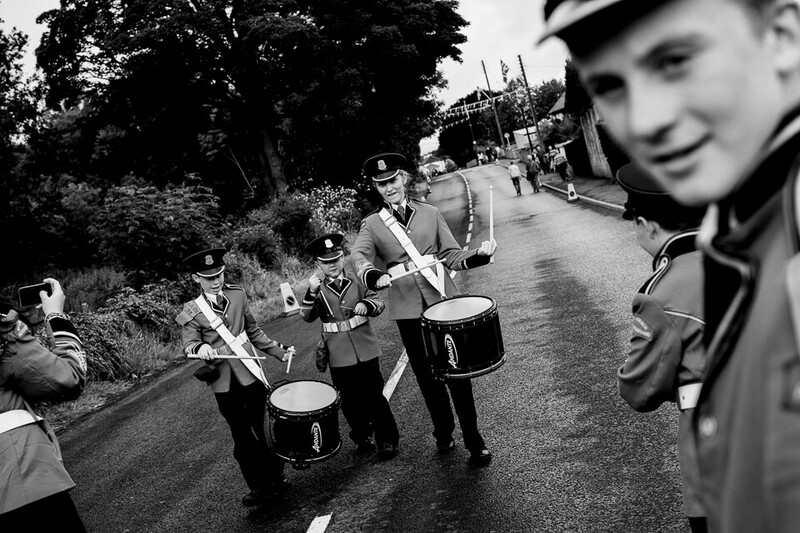 Bands perform an important role in uniting communities, be it in the narrow streets of North Belfast or in rural areas far from the urban flashpoints. They provide entertainment, opportunities to socialise and most of all something to be proud of. 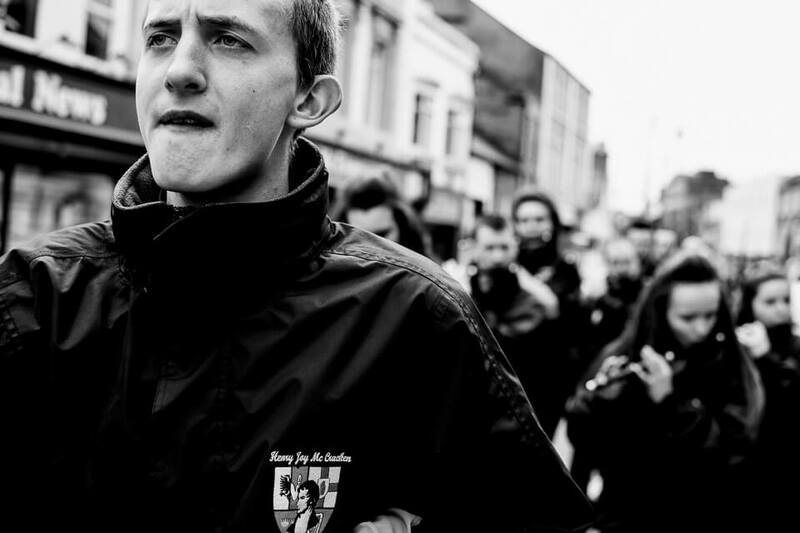 Conflicts evolving around cultural performance such as the parades in Northern Ireland are often very important in revealing the identity dimensions of the larger conflict. 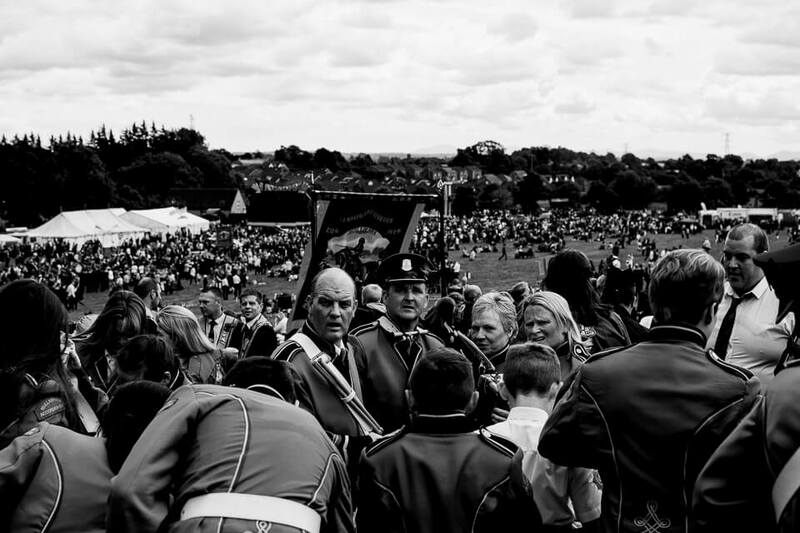 "On parades" as a photographic project is the result of trying to understand what it is like inside by closely following around two bands, one from each community. The photos were taken over the past three years joining them for numerous parades - on the bus, on graveyards commemorating their heroes or at home. "On parades" is not trying to give the viewer an alternative narrative on the topic of parades. 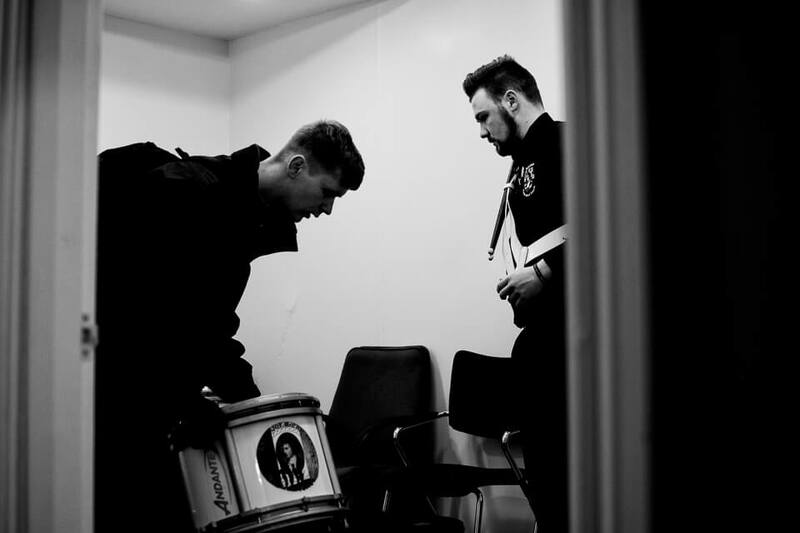 Rather, it is adding an additional perspective by focussing on the similarities shared by bands from both sides of the divide – joy, camaraderie and a sense of belonging. 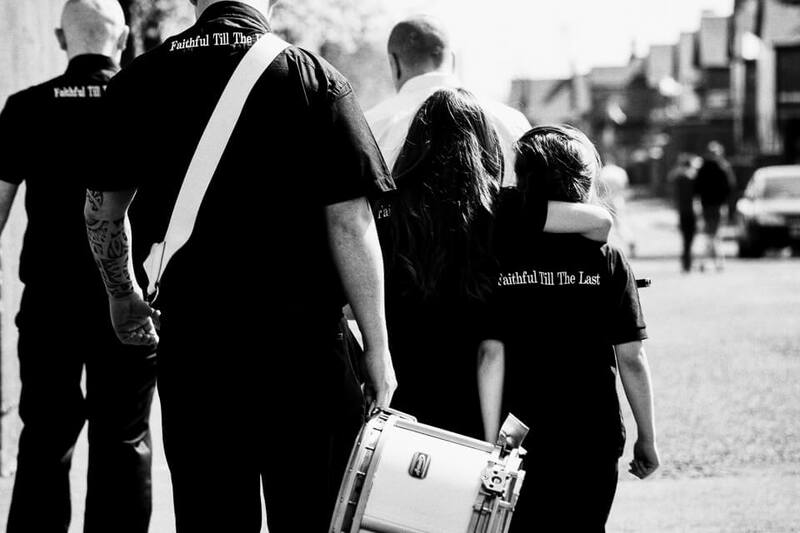 Kevin and his daughters after finishing a parade for the Henry Joy McCracken Republican Flute Band in North Belfast. 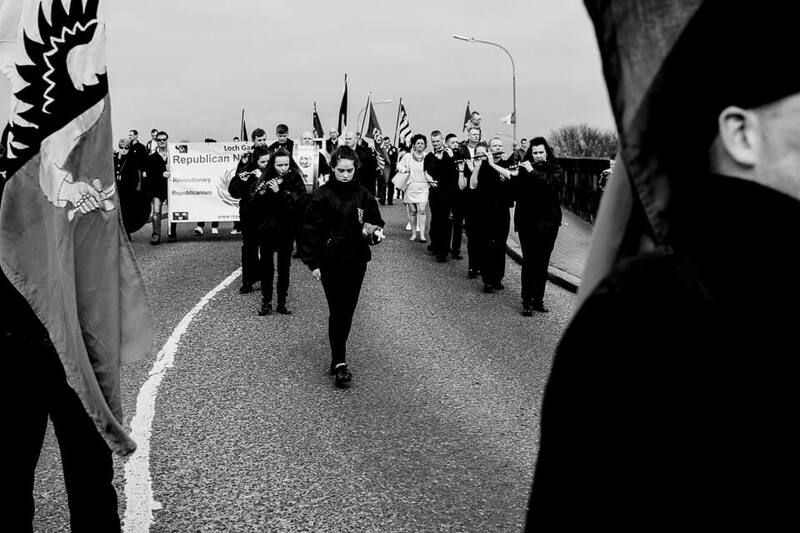 Regular guests at the Republican Network for Unitys main parade, the young members of the Henry Joy McCracken Republican Flute Band have to show great discipline throughout the more than two hour march. 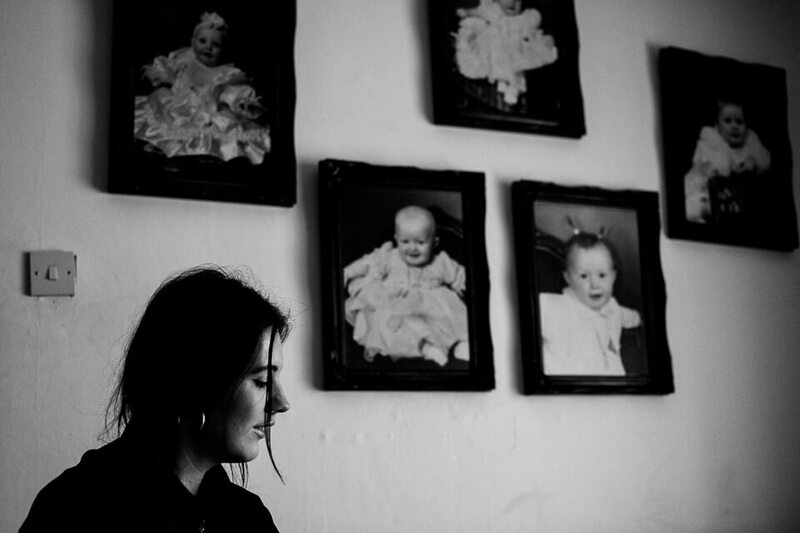 Shauneen at her family home in North Belfast. 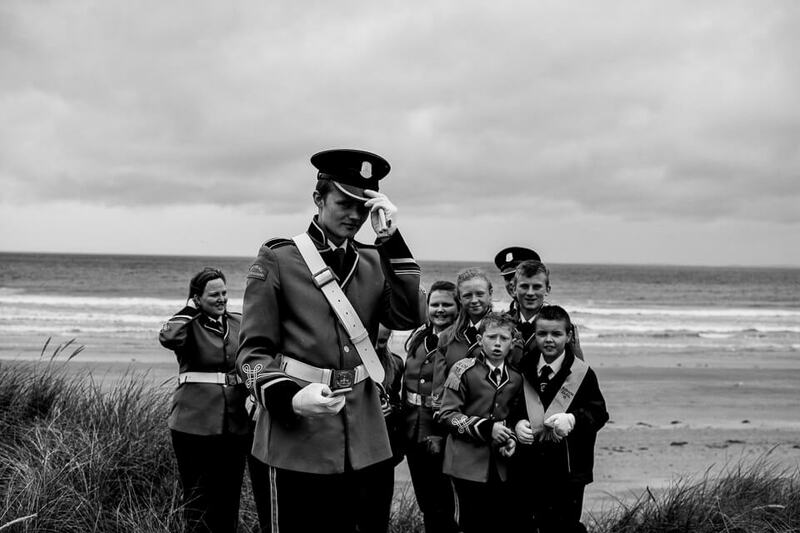 She is waiting for other family and band members before heading off to the meeting point before the local Na Fianna Éireann parade in 2015. Leading the parade through strongly Irish Republican Ardoyne , home of the Henry Joy McCracken Republican Flute Band. 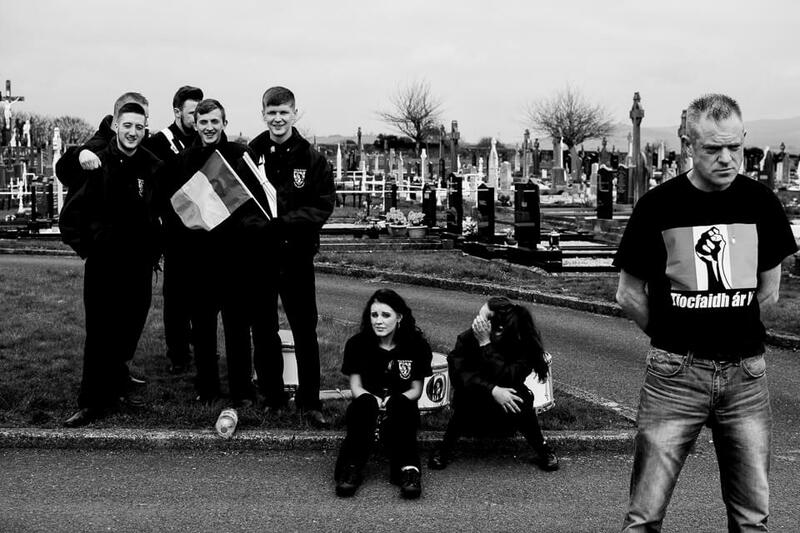 On this day around 200 people remember the fallen members of the IRAs youth wing Na Fianna Éireann. Sean and Joseph gearing up inside the office where they store their instruments. On his first parade as a member of the Henry Joy McCracken Republican Flute Band, Marty is carrying the Irish national flag. It's the dissident republicans annual easter parade. They strongly oppose the current peace process. 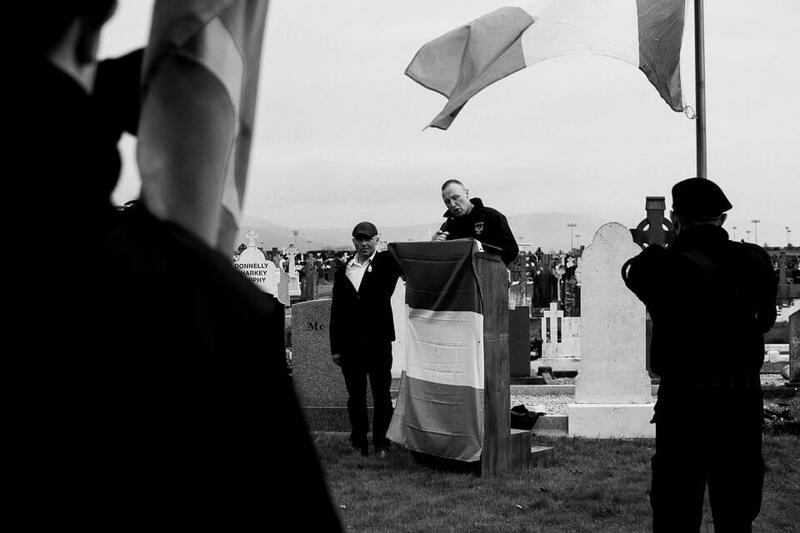 Men dressed in IRA style paramilitary uniforms hold the Irish national flag standing guard while RNU spokesman Ciaran is holding a speech at the annual easter event of the organisation the Henry Joy McCracken Republican Flute Band is politically aligned to. 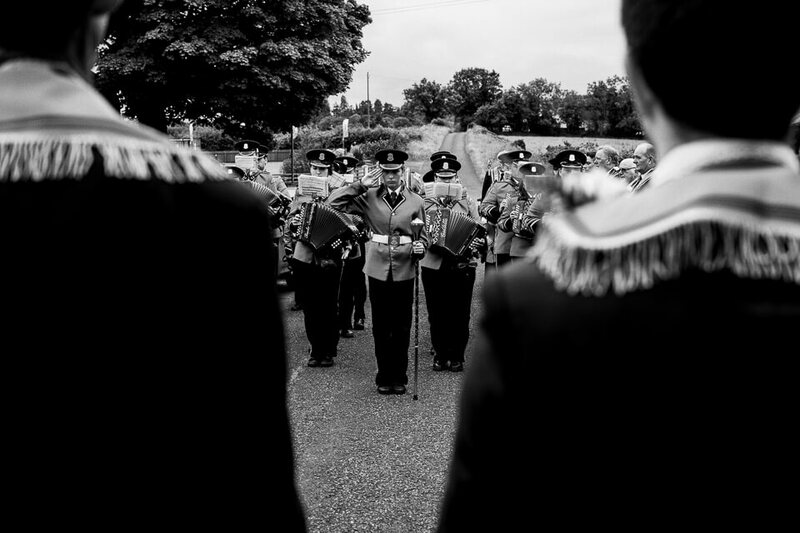 Members of the band at RNUs annual easter event in Dundalk. Man in the front wearing a shirt saying "Tiocfaidh ár lá", irish for "Our day will come". Henry Joy McCracken Republican Flute Band marching with members of RNU Belfast, a dissident grouping opposing mainstream republicanism. They are rumored to have close links to an armed group still posing a mayor threat to peace. 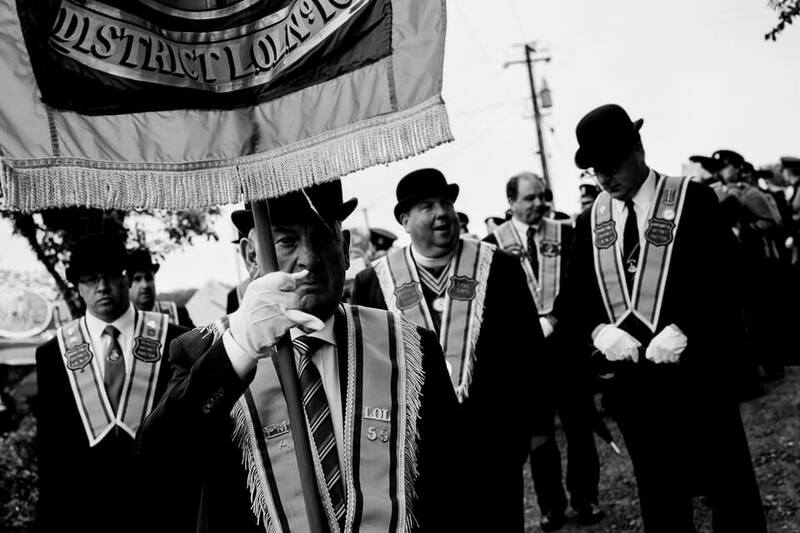 Orange men from the district of Armagh, where Mullabrack is located. Parading Orangemen usually wear dark suits. In addition to ashes, some Orangemen wear Bowler hats and walk with umbrellas, although it is not mandatory to do so. Nathan, the son of the Mullabrack Accordion Band woman in charge, is posing with other young members to take a selfie instead attending the open air church service by the strictly protestant Orange Order. 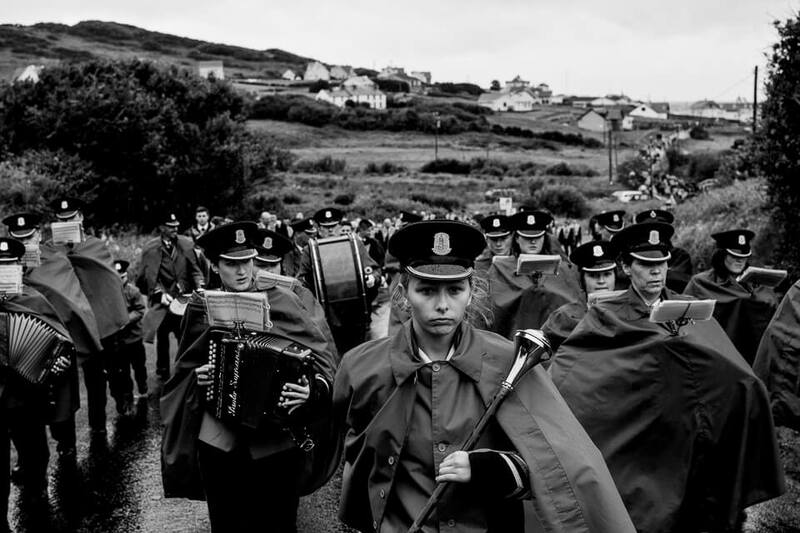 The Protestant Mullabrack Accordion Band on parade on through the heavy rain of County Donegal. 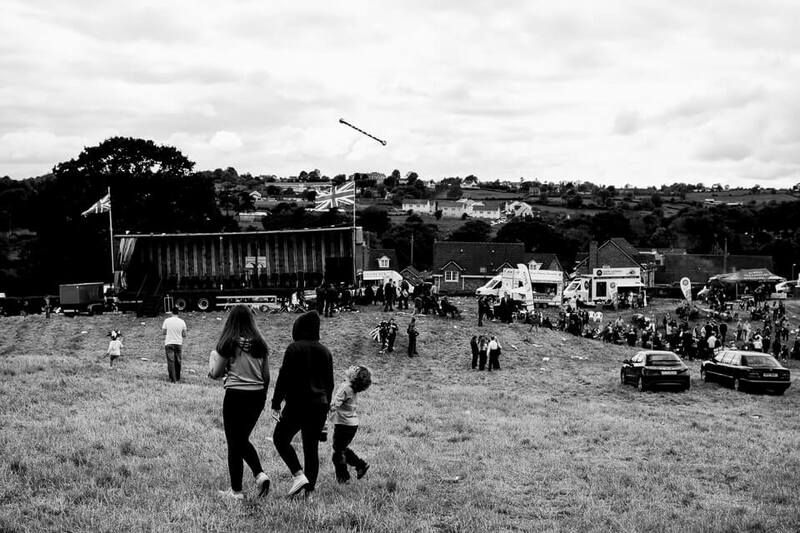 The event traditionally taking place on the 11th of July each year is attended by local spectators as well as unionists and loyalists from NI. The halls of Mullabrack Hearts of Steel Temperance in South Armagh. 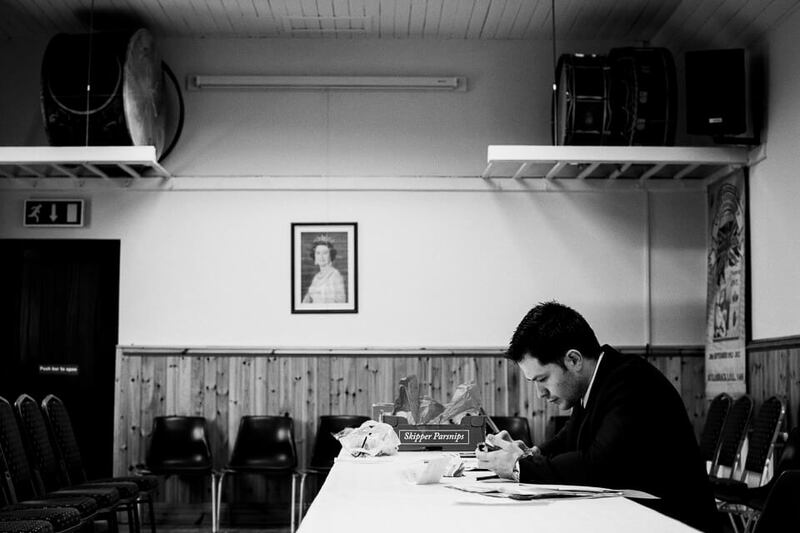 The local Orange Lodge is home to many of the band members as well as their families. It is here where band practice, lodge meetings as well as barbecues are held. Members of Mullabrack Accordion Band trading instruments for fun while waiting in line to join The Twelfth flagship parade. Almost 5,000 people and 80 other unionist/loyalist bands took part in the march during the celebrations. 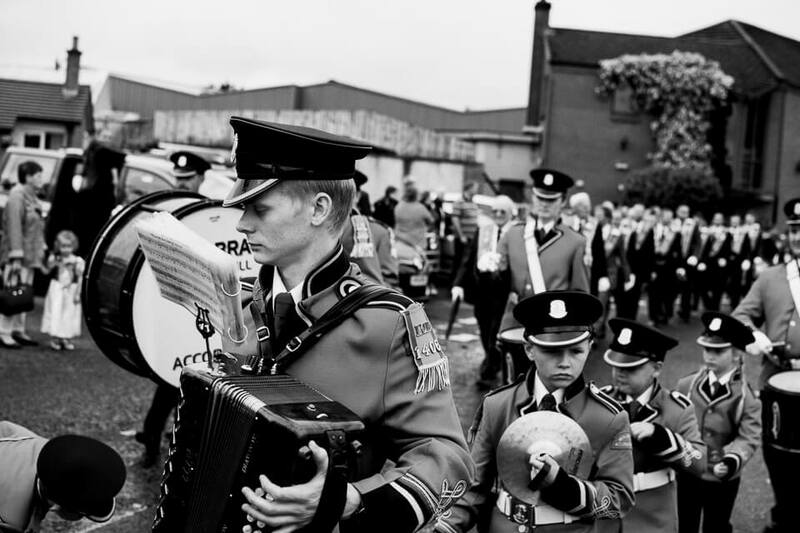 Unionist/Loyalist bands such as Mullabrack Accordion Band are highly regarded, even by its nationalist opponents, for their musical skills, versatile use of instruments and their role inside the community bringing together all generations. Son, grandson, and grand-grandson of local Orange man Charles Hutton Spence, who was killed by the IRA in 1982. 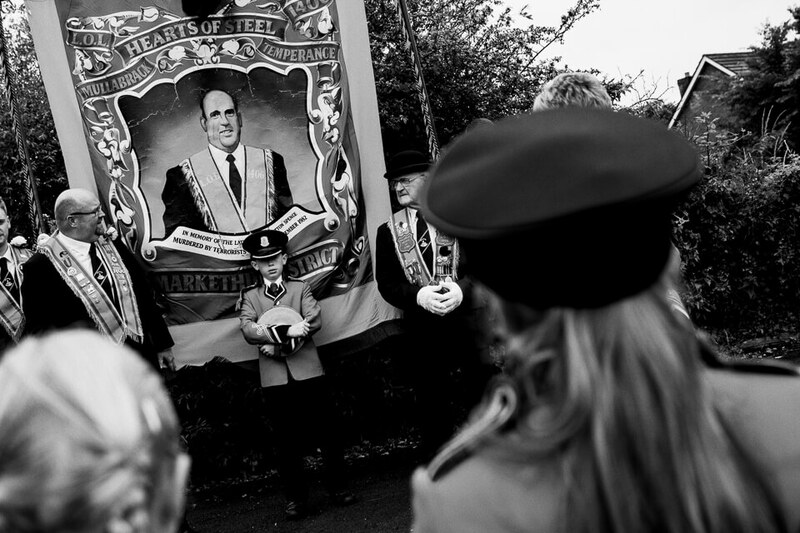 Mullabrack Orange men carry along a huge banner of his counterfeit to remember him wherever the Lodge and the band go. Orange parades usually begin at an Orange Hall, proceed through a town or city and out to a large park or field where the marchers, their friends and family, and the general public gather to eat, drink and listen to speeches. Traditionally ending their homecoming with the British national anthem "God save the queen", Mullabrack Accordion Band along with local Orange Man stop in front of the local hall before dispersing for the big barbecue. Members of Mullabrack Accordion band before joining the other bands for the return leg on the 12th of July.